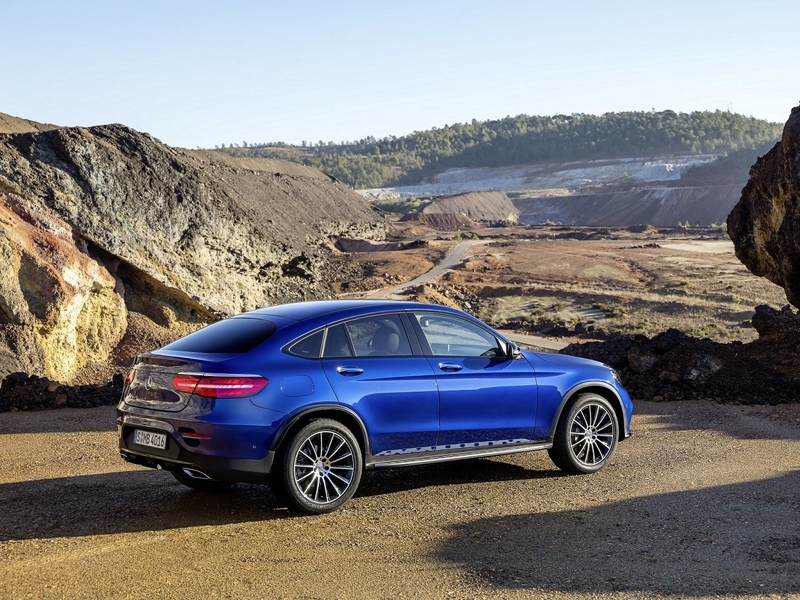 Just one year later, this promise has become a reality: the new GLC Coupé translates the design idiom of the show car, with its distinctive basic structure and stretched greenhouse, virtually unchanged into series production. 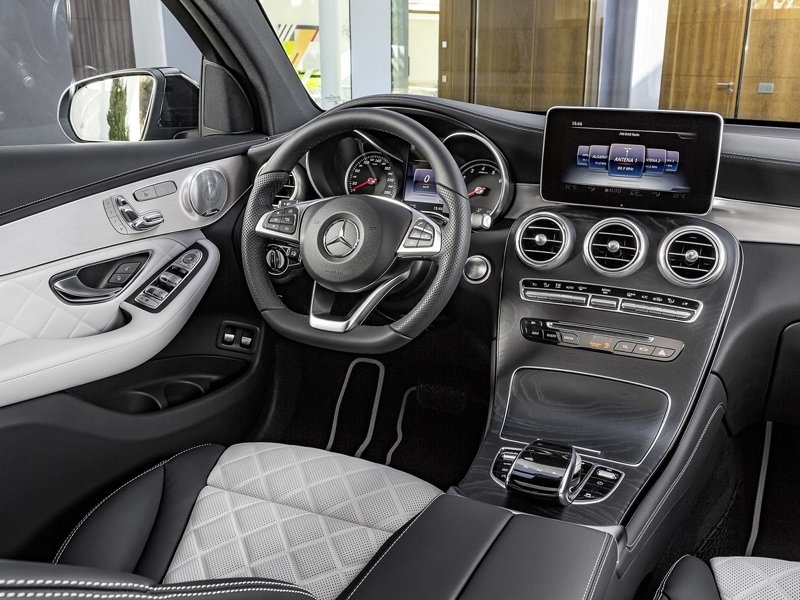 At the same time, the sports car among Mercedes-Benz's mid?size SUVs impresses with its brand-typical safety, modern assistance systems and an especially sporty-dynamic character. The as-standard sports suspension as well as more direct sports steering, DYNAMIC SELECT and 4MATIC permanent all-wheel drive with 9G-TRONIC nine-speed automatic transmission combine effortlessly superior ride comfort with decidedly sporty agility. 1.60-metre-high GLC Coupé with its typical, stretched roofline of a sports coupé. The squat greenhouse blends in perfectly with the side of the vehicle to underline its coupé character. The interplay between high beltline and wide shoulders results in proportions that lend the GLC Coupé its dynamic looks. This interaction is given added emphasis by the drawn-in waist between the dropping line and the lower, rearwards ascending light-catching contour.